Decorating is all about what works best for you. But there is an easy way to refresh your home by bringing the beauty of the outdoors inside your home. Bringing in twigs, greenery and flowers is a perfect way to bring life and freshness into your home. Why not get creative and bring in items from your favourite destination or even your own back garden? 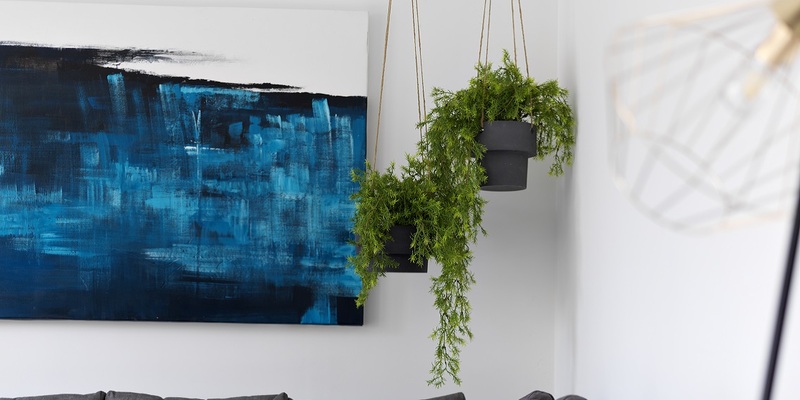 Plants can fill an empty space within any room in your home. Depending on the season, the tones of your fabrics are important. Lift the room in summer with bright or pastel tones, while creating a cosy feel in winter with dark browns and deep blues. Accessories can transform a room. Just by changing the colour of your curtains, rugs or flowers you can completely transform the look and feel. If you want to go more adventurous with colour, why not combine pastel colours with a piece of bright artwork? Light has a huge impact on the atmosphere of a room. You can add light by simply changing curtains and blinds to a lighter colour and material, or ones that let more natural light shine through. Lamps and ceiling lights are also a great way to create the right lighting on dark nights or dull days; use a soft, warm bulb to create a cosy glow or a white LED to cast a bright shine over the room. The smell of a room can transform the mood and emotion of the space. Adding candles and diffusers to a space are a great way to add a new scent and accessorise the empty areas of the room. One of the most inexpensive and fun ways to decorate your home is to incorporate textures and patterns in your accessories. From big fur throws and chunky knits in winter to bright cushions and linen throws in summer, adding fresh textures and tones of the patterns to bring a new lease of life to any room, any season.